The World Chess Championship (sometimes abbreviated as WCC) is played to determine the world champion in chess. Since 2014, the schedule has settled on a two-year cycle with a championship held in every even year. Magnus Carlsen has been world champion since he dethroned Viswanathan Anand in 2013. He then went on to successfully defend his title against Anand in 2014, against Sergey Karjakin in 2016 and against Fabiano Caruana in 2018. 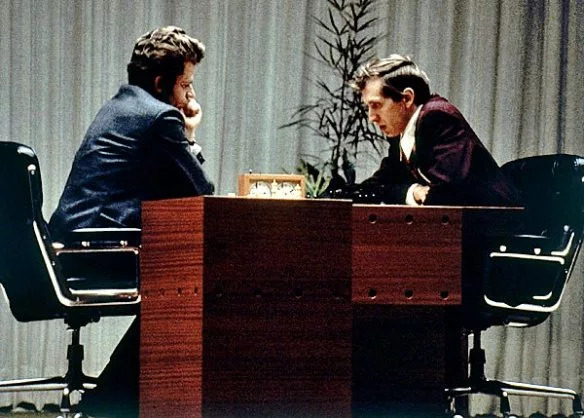 The official world championship is generally regarded to have begun in 1886, when the two leading players in Europe and the United States, Johann Zukertort and Wilhelm Steinitz respectively, played a match. 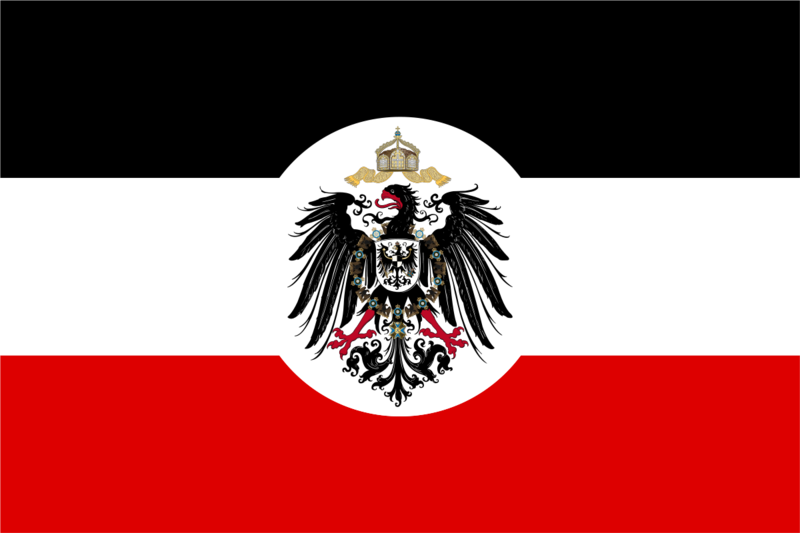 From 1886 to 1946, the champion set the terms, requiring any challenger to raise a sizable stake and defeat the champion in a match in order to become the new world champion. From 1948 to 1993, the championship was administered by FIDE, the World Chess Federation. In 1993, the reigning champion (Garry Kasparov) broke away from FIDE, which led to the creation of the rival PCA championship. 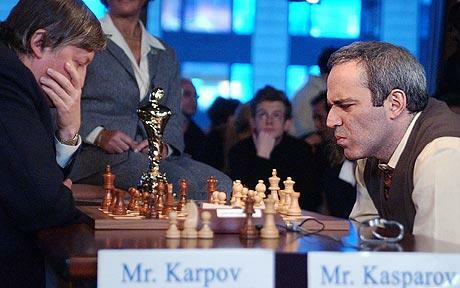 The titles were unified at the World Chess Championship 2006. 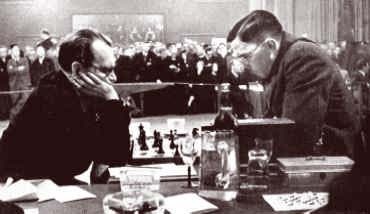 Alexander Alekhine died in 1946 as World Chess Champion. 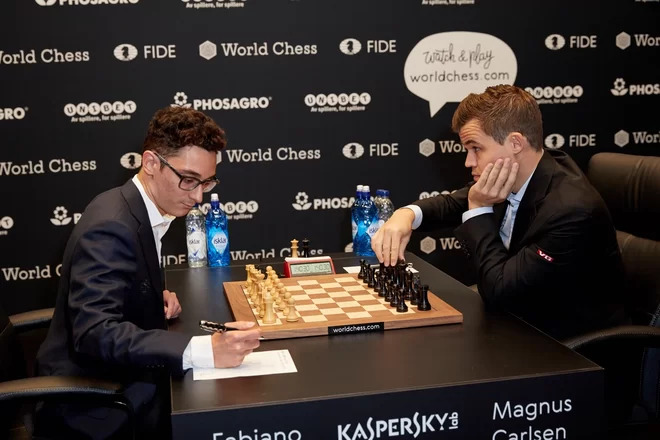 World Chess Champion Garry Kasparov and challenger Nigel Short split from FIDE, the official world governing body of chess, and played their title match under the auspices of the Professional Chess Association. 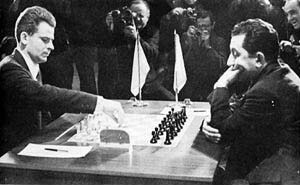 Garry Kasparov was stripped of his FIDE title after he and challenger Nigel Short split from FIDE in 1993.Anatoly Karpov, former champion and the challenger in the 1990 FIDE World Chess Championship match, was announced as incumbent World Champion. Beginning with the FIDE World Chess Championship 1996, FIDE changed its rules and the incumbent World Champion was no longer automatically qualified for the final match.